RCB are yet to register a win from their two outings in the season so far and they would be desperate to turn things around against SRH on Sunday. David Warner will be keen to continue the good show on his road to redemption when a confident Sunrisers Hyderabad take on a struggling Royal Challengers Bangalore (RCB) in an IPL game on Sunday. 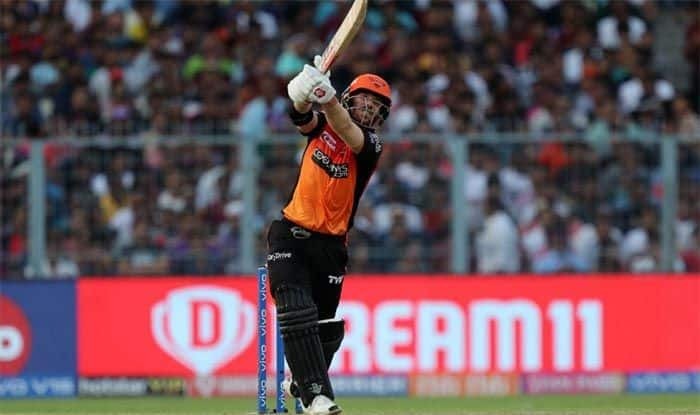 Despite Sanju Samson scoring an unbeaten 102 not out, Warner (69 off 37 balls) helped Sunrisers chase down a mammoth 199-run target for an impressive five-wicket win, their first of the season, on Friday night in a high-scoring contest against Rajasthan Royals. After the match, Warner claimed that it wasn’t the easiest of wickets to bat on and praised Samson for his efforts. He, however, said the conditions could be different on Sunday as it would be an afternoon start. The Aussie opener would be looking to make the most of the early start and put runs on the board again. Besides Warner, Jonny Bairstow (45 off 28) and Vijay Shankar (35 off 15) batted well too. After Warner and Bairstow set up an ideal platform by adding 110 in the first 10 overs, Shankar continued in the same vein, not letting the momentum slip even once during the run chase. In the end, Rashid Khan hit a four and a six off Jofra Archer’s successive balls to take Sunrisers home in 19 overs. And come Sunday, Sunrisers batting unit would like to repeat the show against a low on confidence RCB. RCB are yet to register a win from their two outings so far and they would be desperate to turn things around. But it won’t be easy for them as the Sunrisers will have the home advantage. While RCB were all out for 70 in the first game against Chennai Super Kings, they failed to chase down 187 against Mumbai Indians at home. And if they want to do well, the RCB would need to look beyond captain Virat Kohli and AB de Villiers. De Villiers single-handedly kept the game alive till the last over against Mumbai Indians, scoring a brilliant 70 off 41 balls, but lack of support at the other end hampered the team’s chances. After Kohli’s dismissal for 46, no other batsmen chipped in to support de Villers. RCB must click as a batting unit if they want to post their first win of the season on Sunday. Sunrisers Hyderabad: David Warner, Jonny Bairstow, Manish Pandey, Deepak Hooda, Shakib Al Hasan, Vijay Shankar, Yusuf Pathan, Rashid Khan, Bhuvneshwar Kumar, Sandeep Sharma, Siddarth Kaul, Kane Williamson (C), Martin Guptill, Ricky Bhui, Shreevats Goswami, Wriddhiman Saha, Shahbaz Nadeem, Mohammad Nabi, Abhishek Sharma, Basil Thampi, Billy Stanlake. Royal Challengers Bangalore: Virat Kohli (C), Parthiv Patel, Moeen Ali, AB de Villiers, Shimron Hetmyer, Shivam Dube, Colin de Grandhomme, Umesh Yadav, Yuzvendra Chahal, Mohammed Siraj, Navdeep Saini, Devdutt Padikkal, Himmat Singh, Milind Kumar, Gurkeerat Singh Mann, Heinrich Klaasen, Pawan Negi, Washington Sundar, Akshdeep Nath, Prayas Barman, Kulwant Khejroliya, Tim Southee.